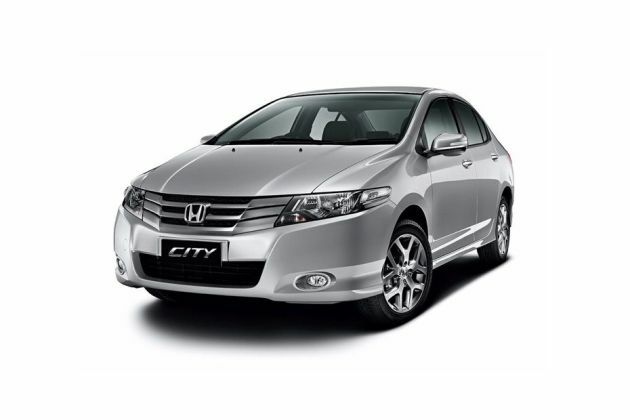 Honda City is one of the most successful sedans in the country. Since the time Honda Indian launched this car into the Indian car bazaar, it has been appreciated by the critics and consumers both. Honda City S is the third variant in the range and is powered by the same engine as that of the Honda City E, which feature a 1.5-litre i-VTEC petrol engine with a displacement of 1497cc. The engine is quite strapping and produces a peak of 116.4bhp and 146Nm of torque. The major added feature here are the 5-spoke alloy wheels that ensures a butter smooth ride even on the bumpy Indian roads. Another luxury addition to the Honda City S are the steering mounted audio controls that will make it easy for the driver to handle audio functions without leaving the control from the steering. The company has also provided features like audio remote and driver seat height adjustment which would make it contented for the driver to drive at its own comfort level. The front arm rest and premium beige interiors add more to the appeal of the sedan. The Honda City S variant has a price tag slightly higher than Honda City E.
Honda City S is one of the more beautiful sedans in India. It has always received huge amounts of appreciation since the time it came into the Indian car market. The front façade of the car has been furnished well with new dynamic styling. The reflector lenses in the chic headlamps are impressive. The bonnet is just idyllic for the car, which has been coupled well with the premium chrome radiator grille. The use of chrome is certainly smart and adds a bit of bling to the car. The side profile has shaped nicely shaped ORVMs , along with well-carved out wheel arches that add on more style quotient. The tail lights at the rear are very stylish and complete the overall appearance of the car. The bumpers enhance the overall exteriors of the car. On the whole, Honda City S is quite appealing in all ways. As soon as you step inside it, the Honda City S feels like a premium luxury sedan, which promises a relaxing and delightful journey. The fabric upholstery for the seat is of superior quality and is accompanied by dual tone interiors. The air conditioning is effective along with carefully positioned vents. The adjustable steering column is decent and comes with electronic trip meter, tachometer, and glove compartment. All these things make the interiors inspiring and quite deluxe. For any car, it is crucial for to be comfortable and come with an array of comfort and convenience features. Honda City S doesn’t disappoint in this section. The car has been blessed with many comfort traits that make the journey utterly relaxing and delightful for the occupants. Firstly, the air conditioning is very efficient and takes no time to cool down the interiors. The power steering wheel with the adjustable steering column makes the driving and handling of the car very easy. This steering wheel has audio control mounted on it. Power windows are present for both front and rear accompanied by remote fuel lid and boot opener . The other comfort features in Honda City S comprise of an accessory power outlet, low fuel warning light, vanity mirror, rear seat headrest and rear seat armrests, cup holders (front and rear), and seat lumbar support. Under the bonnet, Honda City S comes with a powerful and robust 1.5-litre petrol engine that has a displacement of 1497cc . This engine has the capacity to produce maximum of 116.38bhp at the rate of 6600 rpm along with maximum torque of 146Nm at the rate of 4800 rpm. The engine has been coupled with 5-speed manual transmission that makes sure that the car deliver an amazing performance on road. This drive-train has the power to touch the 100 kmph speed mark in 10 seconds and has a top speed of 170 kmph . Coming to the mileage section, the car manages to deliver 16.8 kmpl of mileage on road, which is very impressive for a premium sedan. On the whole, the Honda City S is very inspiring and doesn’t let the car owner down at all. The braking and handling of Honda City S is impressive as compared to its older version. The car has large disc brakes for the front, while the rear wheels have drum brakes . This braking system is utterly responsive making sure that the performance of the car is not hindered. The performance is further assisted by Anti-Lock Braking System with Electronic Brake-Force Distribution System and Brake Assist. Coming to the handling of the car, it is augmented by a superior suspension system that consists of McPherson Strut with stabiliser, coil spring type suspension on the front and torsion beam axle with stabiliser, coil spring type suspension for the rear. The power steering wheel is also one of the major reasons behind the superb handling of the car . Overall, braking and handling of Honda City S is imposing and notable. Coming to the safety features of Honda City S, the car maker has made sure that this car variant is blessed with all the basic ones. The Anti-Lock Braking System with Electronic Brake-Force Distribution System and Brake Assist are the major highlights , while responsive brakes makes sure that the car stops as and when required. Apart from this, Honda India has maintained the safety of both car and the occupants. The structure of the car is strong, while on the inside features like airbags for the driver and front co-passenger keep them unharmed during an accident. Apart from this, this premium sedan has also been endowed power door locks, child safety locks, anti-theft alarm system, day and night rear view mirror, passenger side ORVM, halogen headlamps, seat belts for all occupants, seat belt warning, front and side impact beams, and engine immobiliser. Honda City 2011-2014 is available in 4 different colours - Taffeta White, Alabaster Silver Metallic, Urban Titanium Metallic, Carnelian Red Pearl.